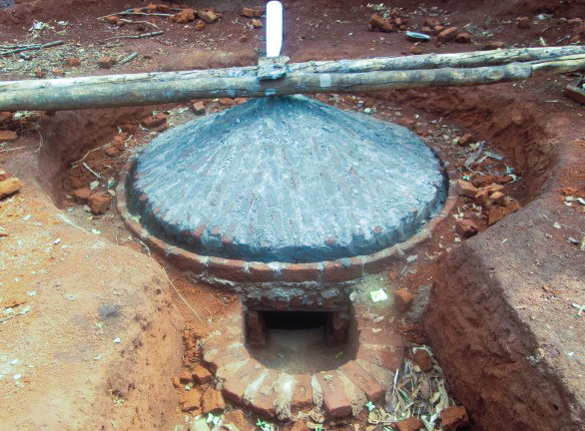 Some great news from the biogas team at Mzuzu University! 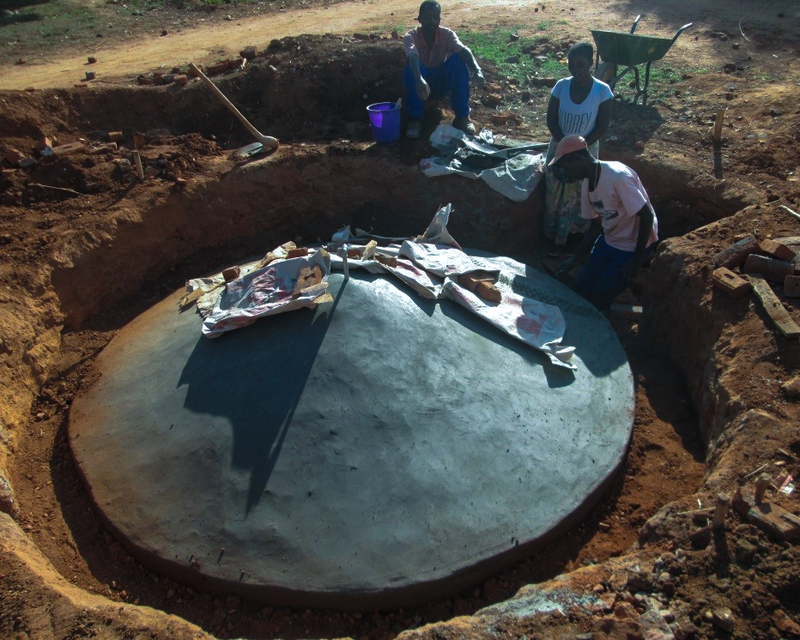 The construction work on the biogas digester at the Tithandizane Orphan Care Centre has been completed. The roof is in place in this photo prior to removal of the wooden supports and final concrete work. The final layer of concrete is added for strength and to ensure it is watertight. Shading from the direct sun has been achieved using old cement sacks to ensure the concrete is properly cured. 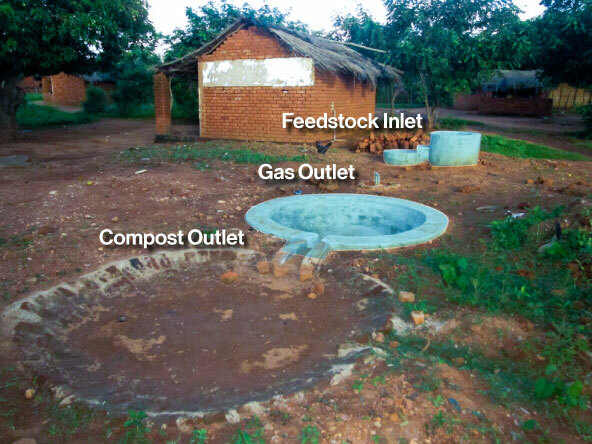 The completed system is shown below with the feedstock inlet, gas outlet and compost outlet highlighted. The last remaining work will involve attaching the gas pipe which will run from the gas outlet into the adjacent kitchen building. The tall cylinder next to the feedstock inlet is designed for mixing animal dung with straw to ensure a fairly standard feedstock. With the biogas construction complete work can begin on the kitchen which will supply food to the orphans and other community members. Here the team can be seen taking measurements for the new facility. 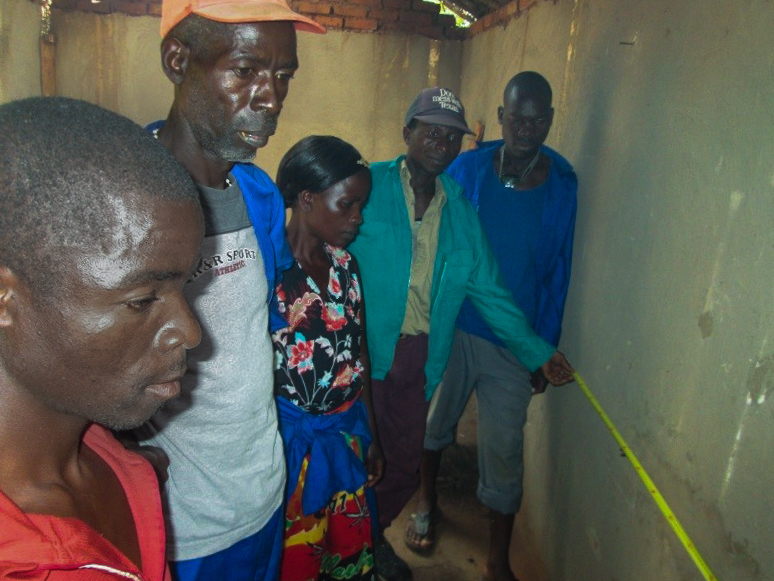 In addition to this project there are a further 10 biogas digesters nearing completion, bringing low cost and efficient gas to a number of communities.